Additional: Name is Luna, might answer to Annie. Please don't chase her, she will RUN! Markings: Black shirt fur with a small white patch on his chest and white on his belly between his hind legs. Additional: She is small about 6 lbs wearing a pink flowered collar, her name is "Rosie"
Markings: Orange tabby with short fur. Peaches has extra toes. Markings: A grey-black tabby. Small female, with a pink nose outlined with black. Additional: Please, help me get her home! Additional: NEEDS MEDICATION so urgent that he be found he is due for his vet visit! Additional: Has a band, friendly flies right to you. Additional: Please contact if spotted anywhere. Additional: Requires daily meds. Description matches lost cat	ad heard on KAOS. 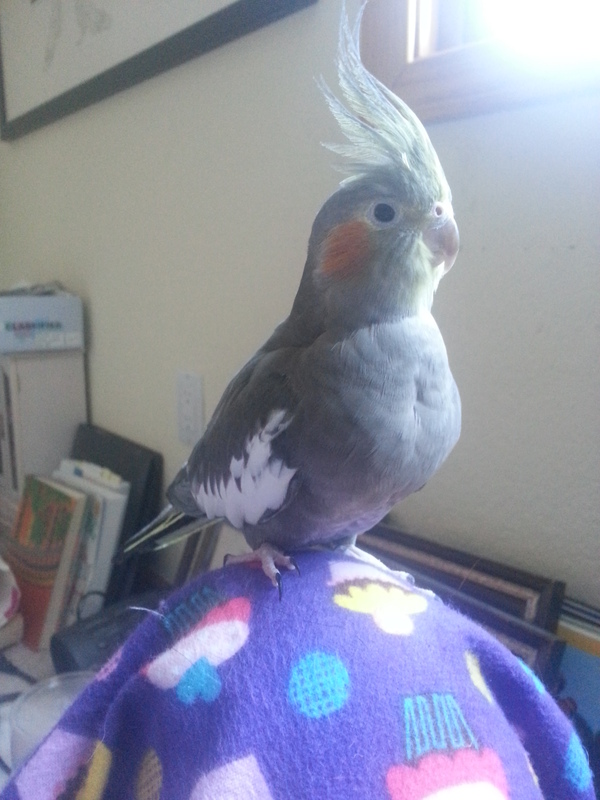 Markings: Pearl with yellow head, a few grey and yellow crest feathers. White feathers along wing, might have spot of pink food dye on her left wing. Has a rough spot from a night fright on the left wing. She is not clipped. Additional: We miss her so, so much she would be a year old in May. Additional: he is in good condition not missing long. Locale: Pioneer and Sumner, Orting Hwy. Additional: Super friendly, has a chip, reward of $100.00. Additional: Lemon, Boston Terrier, female, 1 year old, lost in Spokane WA 99224, 07/30/2016 around 11:30 PM. No collar or microchip, normally friendly. Additional: Her name is Smudge. Additional: Loves Millet may land on finger or head when called. 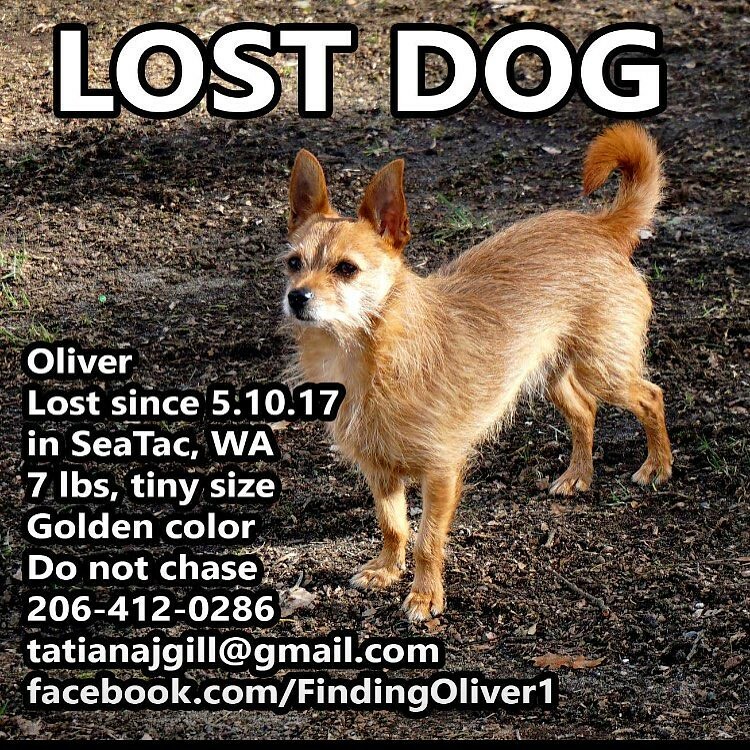 Additional: Georgette was lost off a trail by the river in Bald Hills WA. Additional: My Lutino is a sweet bird that loves millet. She/He is missed dearly, and it's been very painful. Additional: Likes to stand on heads and likes tortillas. Mostly skittish around strangers, so if sighted please contact me ASAP. Additional: very long fluffy tail! Locale: hwy 603, sommerville rd. Additional: the neighbor saw a lady he knew open her car door to put the dog in. this lady lived in the post falls-couerdalane area. Markings: CHERRY is an African Gray. medium-sized, gray and white, black-billed parrot with a red tail. Additional: PLEASE Help! Our African Grey parrot was last seen on Sep.11th 2015 near Holden Rd SW and Military Rd SW. Any assistance in locating her would be grately appreciated and rewarded. Markings: blue-grey female American Pit Bull Terrier. She is approximately four years old and weighs about 70 pounds. She has a white blaze on her chest and a swatch of white fur on one of the toes on her left hind leg. Additional: She can be dog aggressive yet is wonderful with humans and cats. Please help us bring home this sweet girl she is missed. Markings: Tan with brown. she has blue eyes she is a tabby mix-maincoon with a M on her forehead. Additional: she is spayed with no collar and little over weight. she is afraid of other people and will run and hide. we think someone may took her. Locale: S Deep Creek Ln. Additional: Please help him get home! Additional: She is scary but friendly if you give her food. Additional: she is super sweet but probably a little scared please find her! Additional: Reward to those who return him home. Loves to eat broccoli if you find him! I can email a picture to you if you find him to match up. Additional: His name is Elvis and he is wearing a black collar with my information on it. Additional: Sweet & friendly. Please, please if you've got him, send him home! Additional: Gizmo Can be nervous around other people & animals and doesn't like to be picked up. Additional: Female dog found on door step, scared and hungry. Additional: Her name is Haley and she is a black Lab. She is collarless but very friendly. Additional: Jaycie is friendly, may be scared. Has 2 cat friends that come over, may have followed one home. One is black and white, one is a tabby. Additional: She is young, roughly 20 lbs. Short legs, stub for a tail and fox like face. She is a pembroke welsh Corgi.